Which path is right for me? Am I missing the mark? How do I inspire a “Life Long Learner”? 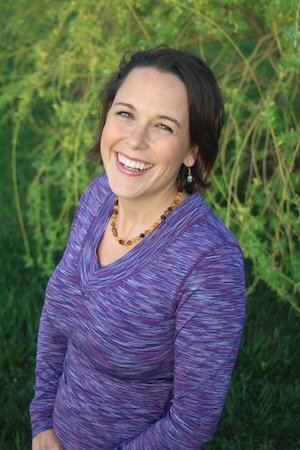 How do I navigate all the overwhelming choices out there for educating my child? What type of thinker are they, and does that matter? How in the world do I motivate my kid (or myself) to learn new things? Okay, not exactly. But building relationships includes selling. We so often make this such a negative connotation, yet being sold on something can simply mean you believe in it, you want to be connected with it, and you are willing to invest in it. Isn’t that we do with relationships? It’s so important to build relationships – and the sales model we speak on in business also works with families. How can you apply this in your home, you ask? How easy is it to demand compliance in your home? When you walk in and bark orders, how does that energy feel? If you build trust and rapport; if you earn the right to request, it’s a whole different ballgame. When we barrel through and make demands, just like in high-pressure sales, it can turn your family off and shut them down. It’s important to go through this process of sales even in your own home. We have to get out of the mindset of sales being a bad thing and consider it with a different context – serving. When you believe in something and are excited about how it can help others, you can become an expert salesperson. You aren’t limited by “sales”, but empowered by how you can serve. With our children, this model is powerful when it comes to getting them to try new things, learn difficult concepts, etc. This week I’m trying out a hodge-podge of goodness. A little bit of blog, a little bit of podcast, and a little bit of video. Let me know what you think! On Tuesdays at 10 Central, I’m doing FaceBook Live events on different topics – and, when applicable, I’ll add them into the blog. This one definitely is – check it out! Ready to dig deep into what type of thinker each of your family is? Here is the Season 5, Episode 43: What Type of Life Long Learner Is Your Child? 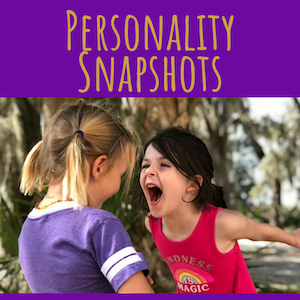 In the podcast, we dig deep into the Life Long Learner Snapshot – it’s amazing what insights you can get out of this, and how you can motivate…or “sell” your child, partner, etc in a way that really resonates with them. Before information can be retained, you need to recognize how you perceive it. It is your perception of the information that helps you soak it in – not your level of intelligence, but how you are taking it in. 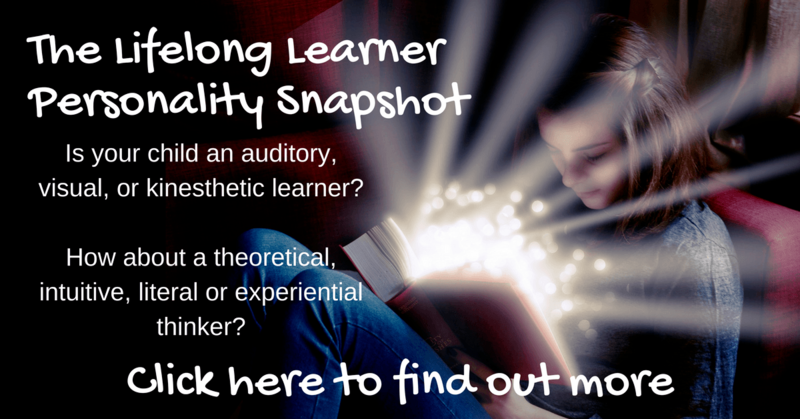 Are you an auditory, visual or kinesthetic learner? Use their voices and ears as the primary mode for learning. They remember best what they have heard and what they themselves expressed verbally. Like to see words in written form, an illustration in graphic form, or assignments clearly described in written form. They like to follow instructor’s lessons visually with handouts, graphs, and graphics. Learn better when they touch or are physically involved with what they are studying. These learners want to use trial and error in order to remember and comprehend concepts. L = These people are organized, direct, practical, factual, and efficient. We call them Literal Thinkers. I = These people are imaginative, sentimental, perceptive, and adaptable. We call them Intuitive Thinkers. T = These people are analytical, logical, deliberate, and thorough. We call them Theoretical Thinkers. E = These people are curious, realistic, innovative, and challenging. We call them Experiential Thinkers. Adjust the way you are teaching to fit your child’s need. Your challenge this week – share your story! Hop over to the Mama Says Namaste FB group, the Unschooling Families group, or send us a note. 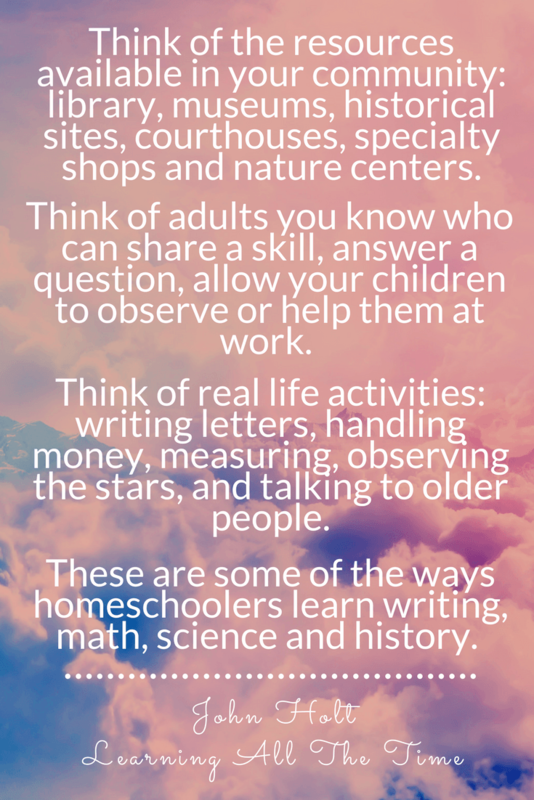 How does your family learn?